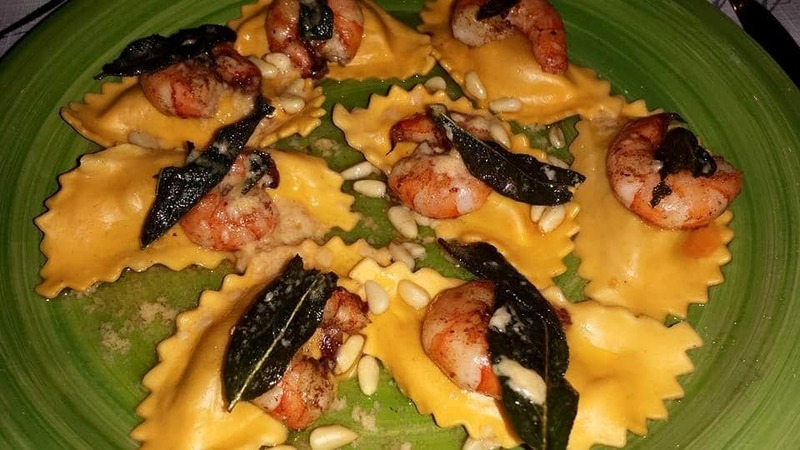 Butternut squash ravioli with Prawns in a lemon butter sage sauce. Add the ingredients above on at a time and cook in order while decreasing heat. Fry (the same amount of) sage leaves and Prawns in a little bit of butter on a separate pan. Place cooked ravioli add prawn and fried sage leafs to each piece.